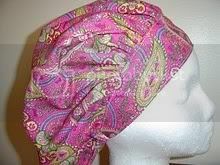 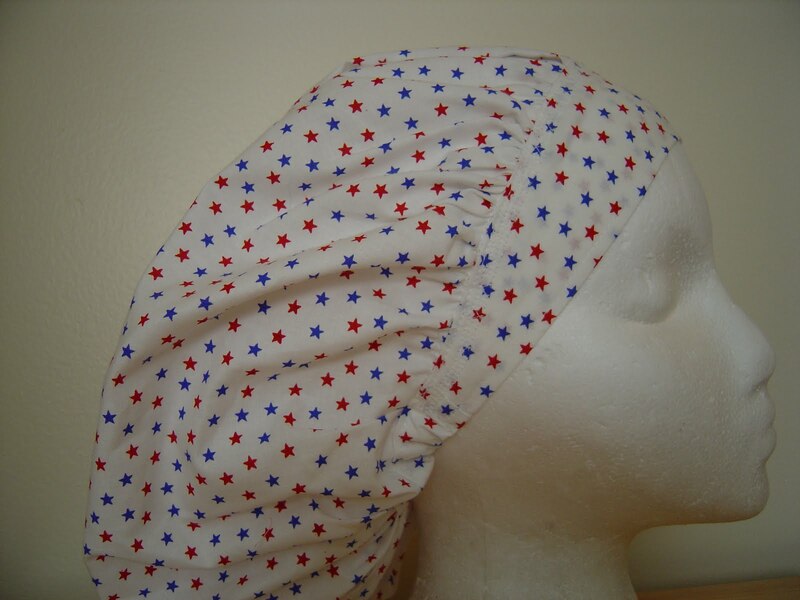 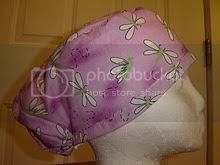 This is a beautiful FRESH LOOKING STAR BOUFFANT SCRUB HAT . 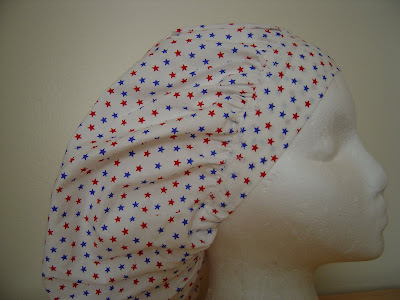 It is covered with TINY RED and BLUE stars on a fresh looking WHITE background. 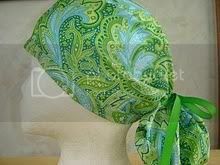 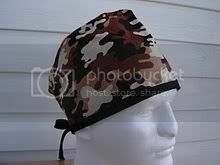 This is a hat you will wear over and over again!